McBeath Financial Group provides comprehensive financial planning for those that have accumulated $250,000 or more in retirement assets, that are looking to protect and grow their wealth for a specific purpose. We serve in providing two different types of financial planning programs; comprehensive retirement planning and investment planning, focused on two different age demographics with distinctly different goals and needs. Comprehensive Retirement Planning –We reserve this process for those who are 55+ and within three years of retirement. For those within this demographic, we can provide a very detailed and accurate plan which will address questions and concerns for retirement. Retirement begins the transition phase from wealth accumulation to planning for income and distribution, possibly preservation, and asset transfers. As part of this plan, we consider market risk, risk tolerance, taxation, social security, premature death, inflation, medical and long-term care expenses, and wealth transfer strategies. Our holistic approach to financial planning is designed to guide from early retirement to final transfer of assets. Therefore, we can recommend this plan only for those ready to enter this stage. Experience shows that beginning this planning process too far in advance will not provide an accuracy level that is within our comfort zone. However, we do find this is a great litmus test to explore if retirement is viable within a three-year time frame. We recommend this program only for those with a minimum of $250,000 in retirement assets, as they will benefit the most from their investment in this type of comprehensive planning. With fewer assets, our planning options are limited, hindering the ability to develop a comprehensive plan with an acceptable success projection. Investment Planning – Our investment planning process is ideal for individuals/families who are more than five years from their planned retirement age, with more than $250,000 in transferable retirement accounts or assets. While still within the accumulation phase with a longer time horizon, this program will appeal to those that want a professionally managed portfolio that aligns growth with their risk tolerance, lifestyle, and goals. While this planning process is not as comprehensive as the full retirement planning, it can be a great option for those in their 30s, 40s or early 50s who have assets they wish to grow but want to manage the risk in the portfolio. We find most who choose this program wish to plan with a purpose while ensuring that their investments leave them with options. Those with the sufficient portable assets available for this process will benefit from diversification options which allow a professionally managed portfolio that is designed with a focus on the individual’s goals. Usually, such assets come from a 401K rollover, divorce, inheritance or non-qualified investments. While we do not limit ourselves to corporate employees, our proximity to the corporate headquarters of a Fortune 500 insurance company has honed our expertise when working with corporate retirement and 401k rollover situations. We’re proud to have attracted a reputation with SF employees as a specialist in comprehensive financial planning. 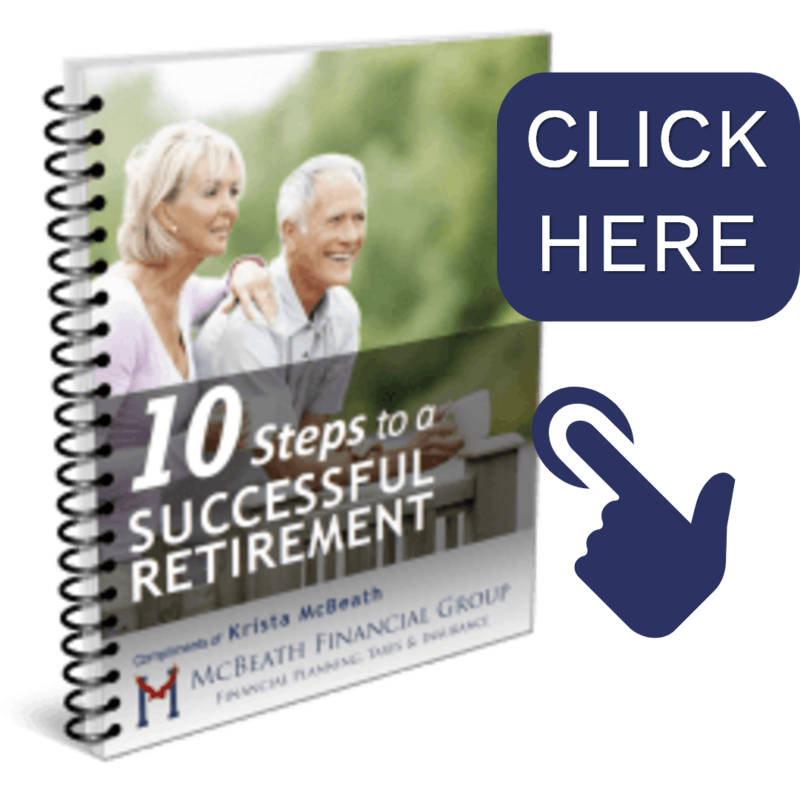 McBeath Financial Group’s experience and proficiency within the corporate market segment have grown and reached a broader market for corporate employees seeking retirement planning, even beyond the state borders. Locally and beyond, corporate restructures have seen many clients facing early retirement buyout options and involuntary workforce reduction. Evaluating these options and helping employees prepare for retirement has become a niche specialty. In these unique situations, McBeath Financial Group has experience in providing financial strategies, despite the loss of years of planned employment. While President and financial advisor, Krista McBeath, will always have her heart with the relationships she develops in person with the families of central Illinois, her expansion and reach continue to grow. So, while locally she’ll greet those seeking financial advice in the comforts of her office with a smile and a cup of coffee, she also makes herself available by phone, screen sharing, Skype, and email to those corporate employees across the country.